SPIDERBAIT and Thirsty Merc are just two of the Australian artists not to be missed on the Optus National Music Muster stage this year. Held in Amamoor Creek State Forest from August 24 - 29, Muster is celebrating its 29th year with a star-studded line-up sure to cater to everyone's tastes. “This year’s Muster program is going to be another fantastic showcase of the wide range of talent Australia has to offer – including all the Muster favourites,” Muster chairman Carl Green said. Famous for their hit singles In the Summertime and Emancipate myself ARIA nominated and multi-platinum selling, Thirsty Merc, are spending the weeks leading up to the Muster on a national tour spanning over eight states/territories to promote their new album Mousetrap Heart. “We are excited to welcome Thirsty Merc to the Muster stage for the first time and look forward to hearing hits from their new album,” Artist co-ordinator Mary-Lou Goodall said. Carl said that Thirsty Merc would be joined by a newcomer to the Muster stage, Spiderbait, although they were definitely not newcomers to the Australian music scene. Kram (drums, vocals), Janet (bass, vocals) and Whitt (guitar, vocals) have been performing together for more than 15 years as Spiderbait, with 22 songs on Greatest Hits including hit single Black Betty. 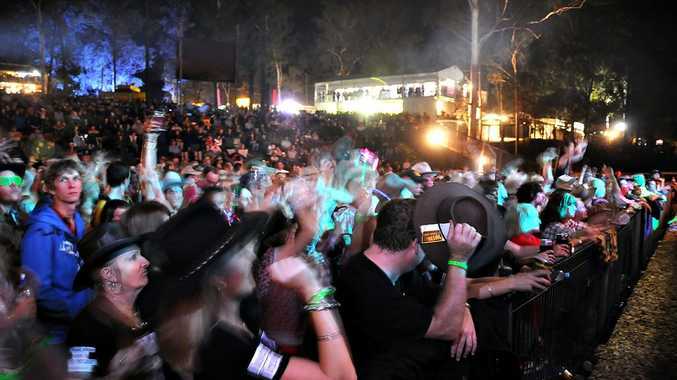 Other exciting additions to the list include Will Anderson, Jimmy Barnes, Graeme Connors, The McClymonts, Lee Kernaghan, John Williamson, Troy Cassar-Daley, Felicity Urquhart, Sara Storer and many, many more.